Anna began her career in real estate as a Real Estate Associate in 2002 and decided to continue her education in the field by completing a Broker’s Qualifying Course and becoming a licensed Associate Broker in 2007. She joined EXIT All Seasons Realty in 2014 and focuses primarily on residential real estate transactions, including but not limited to, single family properties, condominiums, co-ops and investment properties in the Brooklyn and Queens area. 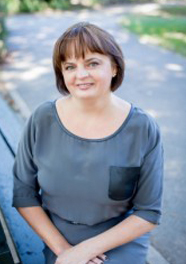 Anna is a passionate and market-savvy professional whose client’s satisfaction is paramount. The foundation of Anna’s career was built on an exceptionally loyal clientele, personal referrals and repeat business. With an unparalleled professional track record for being honest, hardworking and providing a patient approach and unwavering loyalty, she does everything in her power to ensure her client’s success.